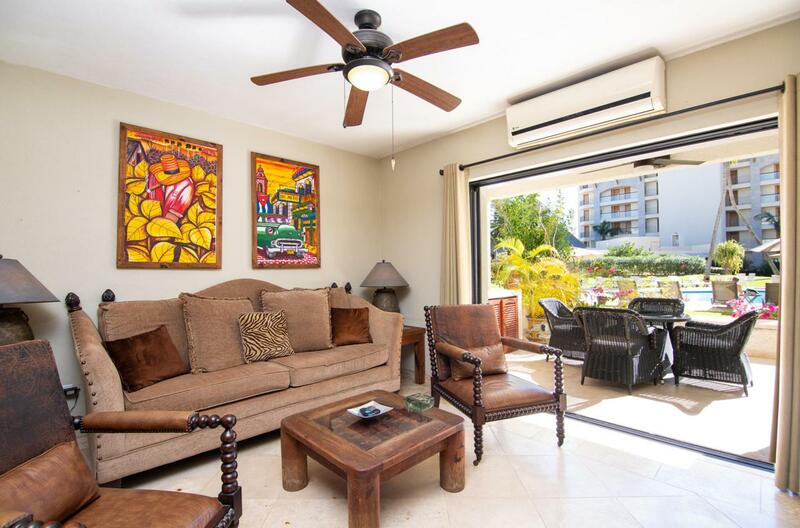 A STUNNING GROUND FLOOR TWO BEDROOM TWO BATHROOM CONDO IN THE EXCLUSIVE RESORT CALLED LA JOLLA DE LOS CABOS. OVER $100,000.00 USD SPENT ON RENOVATIONS. IMMPECABLY FURNISHED EVERYTHING STAYS .JUST STEPS TO THE BEACH. A MUST SEE!